I have been a mother for many years now.... I wish I could tell you that I have it all figured out. HA, that is the farthest thing from the truth. Every single day, I am learning and changing and growing myself! It is a hard job... but the greatest job I could ever want. One aspect I have struggled in is making chore time work for everyone. I want to see my children succeed in everything they do. I want to see them learn and grow, to be happy, helpful people, who want to serve others more than themselves. Around our home we have chores. Not just a quick feed the dog, but things that help make our home run smoothly. 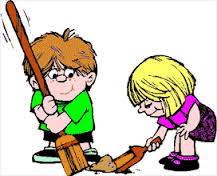 Chores that can help teach each child that if he/she doesn't do his/her part the family suffers and it cuts out of our fun family time. We have our daily outside chores, that include feeding and watering the chickens, the cats, the dog. When it's gardening season, we have a set amount of time that we go and work outside together. It all helps, but the biggest help I have found is that if I give out jobs 4 jobs and rotate these jobs, our lives all run a bit more smooth. You may laugh, but our biggest obstacles are Laundry, Dishes and Sweeping. So in addition to our daily outside chores, the make your room tidy (without Mom having to tell you) chores... haha we have these four and I split them into four because I have 4 children. You do what works for you. At the beginning of the week I place four slips of paper in a hat. I fold them up and toss them in a hat. Each person draws and has that chore for a week. I have laundry in there twice because it is very much a two person job. And, with it being a two person job it helps to make the kids work together! After you have had laundry twice in the month, you have something else for the other two weeks. And, two people can't have it at the same time together. For example in Week 1 of this month, Cameo and Eli had laundry. For week 2, Cameo and Abram have laundry. Cameo will not have laundry duty again this month. And Abram will have it only one more time this month. Laundry duty is washing, drying, folding and putting away. They can split it up in any way they wish as long as they are working together and getting the job done. The dishes helper is with me. I usually always wash the dishes and the helper puts away. We have small counter space and lots of dishes that we go through, so this job is usually a pretty busy one. The general helper is the most sought after job of the family, but yet it seems to be the most difficult. They are my helper. They help me see what needs to be done. They help me assign 'other' jobs, they sweep with me, or tidy up the house with me. Just whatever needs to be done, they are with me. It gives me and that certain child time together and we get a lot accomplished. These four simple jobs have helped our home tremendously. I wish I had thought of assigning them a WHOLE lot sooner.